Executives in attendance at the VLA’s inaugural seminar “What if Leadership wasn’t about you?’ participated in a great discussion with facilitator Rhonda Brighton-Hall. 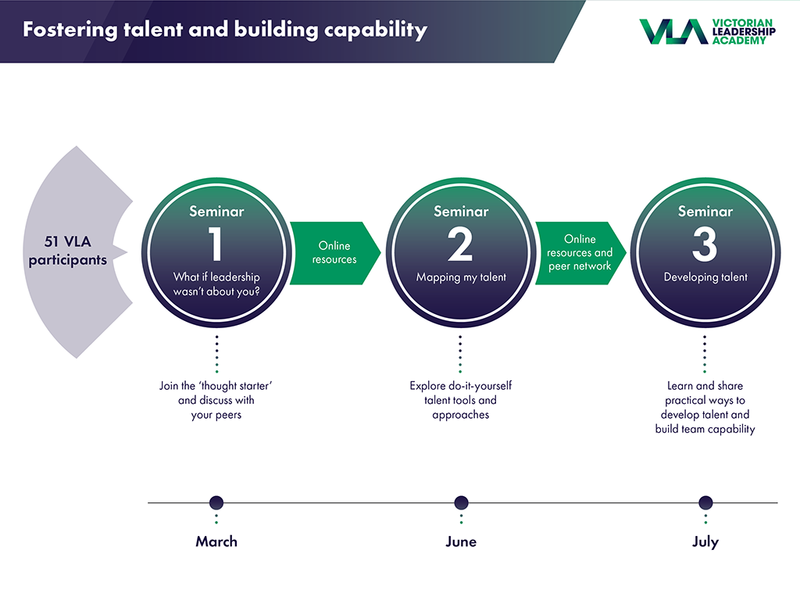 Held at the stunning Hotel Windsor in Spring Street Melbourne, and opened by VLA Director, Terri Mandler, this seminar was the first in a series of three, all focused on the capability of Fostering talent and building capability. Attendees discussed moving leadership from ‘self’ and development to reach full personal individual potential, to a greater appreciation of the impact on others and creating an environment for others to not only contribute their best, but to thrive. This seminar was a first in a series of three and will be followed by two further seminars entitled Mapping my Talent and Developing Talent in June and July 2018. What if leadership was not about you? What if it was purely about your impact on other people? 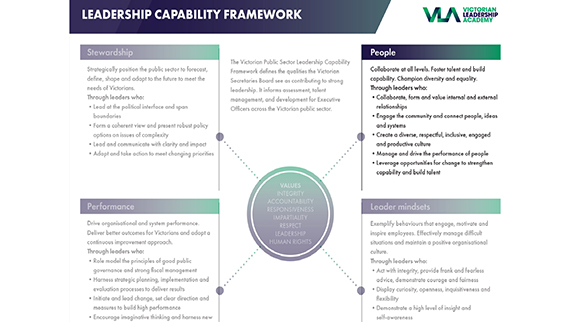 This development opportunity addresses the capability area: Fostering talent and building capability. to get the information you need to make the right choices in your career. Don't wait to be looked after. DO IT YOURSELF.